My husband and I took Monday – Wednesday off this week and man, that was a great staycation. Sometimes you just need to kind of unplug from work and even social media and reconnect with your own life. So what have I done over the last few days? Tuesday night we saw my favorite artist – ALICE SMITH! 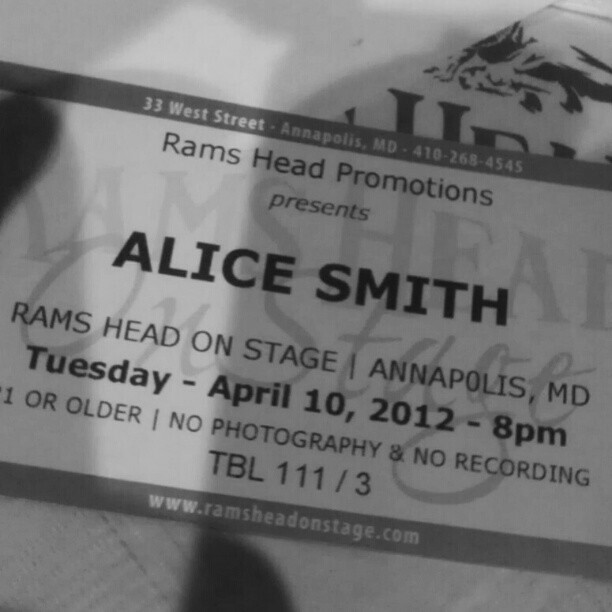 You might remember last year when I saw Alice Smith in Annapolis I got to sit next to her father for the show. I saw him again this year but didn’t say hi, I didn’t think he’d remember me. I was being a silly shy girl, I know. But can I tell you how she tore up Cee-Lo’s ‘Fool For You’ – LAWDHAVEMERCY! I’ve put the YouTube video below. I have not been able to stop playing this song over and over again. It’s honestly how I feel about my husband too. And if you haven’t seen Alice Smith before, she’s performing at the newly renovated Howard Theater on April 19th, I highly recommend that you see her in concert. These hydrangeas are from Easter weekend. My family and our friends spent Easter at my parent’s house and everyone brought a dish. I was responsible for lamb and of course I braised it and then reduced the wine it cooked in down to a lovely sauce to pour over the lamb. Everything was delicious and it was a low stress holiday since everyone was responsible for a dish. My family is also pretty great, so I love any holiday that I get to spend with them laughing and being silly. See that lovely purple ball? 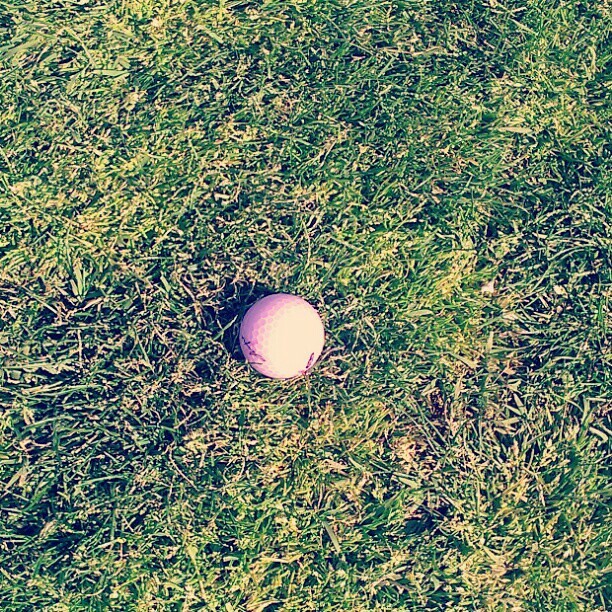 Yeah that’s my ball that landed smack dab in the middle of the fairway on my second hole of golf with my husband. Of course my game went downhill right after that but it’s the little moments like these that make me love playing golf. Oh and last night I started a new knitting class! I’m taking a baby blanket and pattern making class at Fibre Space. I love their yarn and I’ve wanted to learn how to create my own patterns so I thought this would be a great class to try. So that’s where I disappeared to, I hope you didn’t miss me too much but I’m glad to be back! I LOOOOOOOOOOOOOOOOOOOOOOOOOOOVE Alice Smith! I’m going to see her at Howard Theater! I can’t wait. 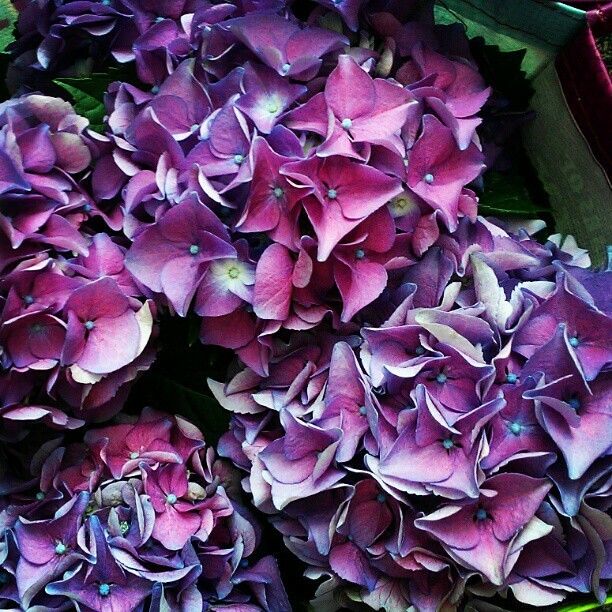 Hydrangeas are gorgeous and Alice killed that song. I’m checking out more of her music.